Enjoying further positive trading results, Husqvarna Motorcycles have ended the 2017 business year with yet more record-breaking sales and turnover figures. With 20% more motorcycles sold during the 12 months to December 31, 2017, the European manufacturer of premium motorcycles saw their annual turnover increase by a notable 25% compared to the previous year. Continuing their steep upward trajectory, Husqvarna Motorcycles saw a total of 36,883 motorcycles being sold during 2017, as the brand reached a record-breaking worldwide turnover of 250 million Euros. Underlining the manufacturer’s positive momentum of growth, these notable results surpass the historic gains in bike sales and turnover achieved during each one of the previous three business years. Adding a benchmark to their timeline, during 2017 Husqvarna Motorcycles introduced the next generation of fuel-injected 2-stroke machines. Perfectly embodying Husqvarna’s pioneering spirit, the revolutionary new TE 250i and TE 300i, together with a heavily updated range of enduro and motocross machines have set innovative standards for the future of offroad motorcycling. 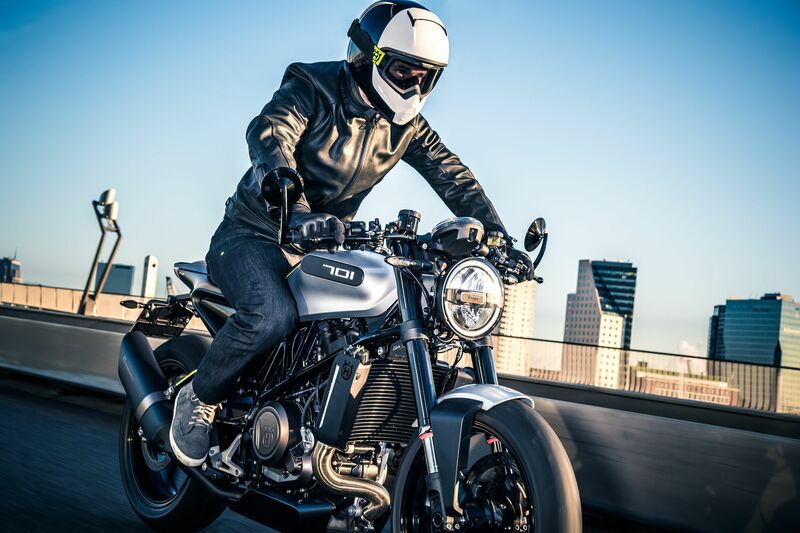 Husqvarna Motorcycles have also recently taken vital steps towards fulfilling their progressive vision of street motorcycling with the unveiling of the production version of the VITPILEN 401, SVARTPILEN 401 and VITPILEN 701 ‘Real Street’ models. With all three motorcycles reaching dealer floors during the first months of business year 2018, Husqvarna Motorcycles’ thrilling expansion in the street motorcycle segment ensures the brand’s strategic growth for the foreseeable future.